Sale, Wonderful Events, Beautiful Fabrics, Great Classes! March is the month of new beginnings and celebrations. 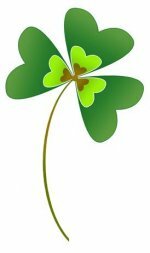 It includes the first day of spring (and spring cleaning), Mardi Gras, St. Patrick's Day, and March Madness. We're doing our part by engaging in some spring cleaning and having a "March Madness" sale. We have put a lot of books on sale at 40% off. Starting today and running through Sunday, March 16, if you purchase one of these sale books, you can also take 20% off one regularly priced item! (Limited to stock on hand and cannot be combined with other discounts.) 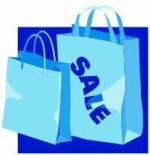 We've also added many other items to the sale room, so come check it out and get some great bargains. There are just a few spaces left in our fist BOM program, Marti Michell's Anniversary Waltz, pictured at left. It's made with twelve 12" blocks set on point. Our color scheme is black and white with touches of red. The finished size is approximately 85" x 105". A sample block is on the right. Sheila Bayley will be giving the demonstrations, and they will be on the first Thursday of each month at 10:30-11:30 a.m. and 5:30 - 6:30 p.m. We are taking registrations now through March 21. The price to register is $75 (which covers the first month's block kit and the finishing kit), and $7/month thereafter. The 2014 Foothill Quilt Show, "Glorious Foothill Flowers", is Sat-Sun, Mar 22-23, at the Gold Country Fairgrounds, Auburn. There are over 300 spectacular quilts and wearables, 40 vendors, and a Country Store. The special guest quilter is Velda Newman. Enjoy quilting demonstrations, fashion show, door prizes, raffle baskets, and lunch at our cafe — there's something for everyone, and Thistle Dew will be a vendor! 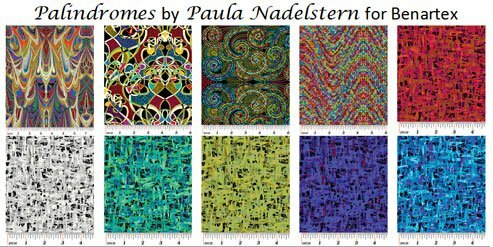 From Benartex, we have Palindrome, "another stunning collection from Paula Nadelstern, featuring bilateral symmetry. The electric color combinations and stunning designs are simply fabulous." 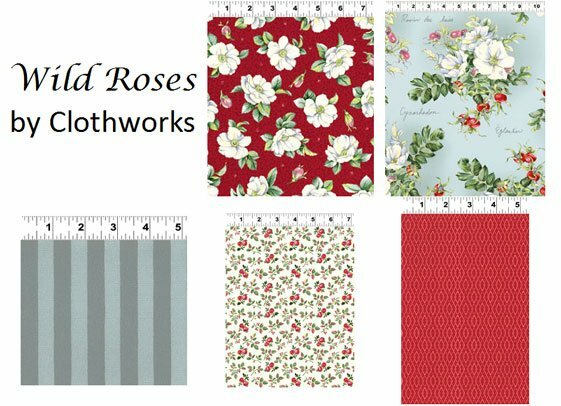 We're getting a trunk show of quilts using these fabrics soon! 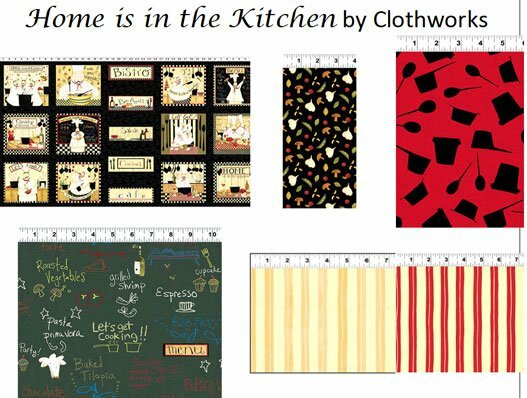 And there are two new collections from Clothworks, a fun kitchen-themed collection and a romantic floral. We've also added new colors to our silk dupioni and silk/rayon velvet collections, and replenished our Silken Pearls for you handwork enthusiasts. 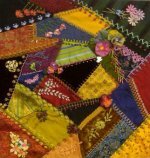 Crazy Quilt Group, Mon, Mar 3, 10:30 a.m. - 1:30 p.m. Sit & Sew, Thu, Mar 13, 1:00 - 5:00 p.m.
Handwork Sit & Sew, Mon, Mar 17, 10:00 a.m. - 4:30 p.m.
American Girl Doll Sit & Sew, Thu, Mar 20, 1:00 - 4:00 p.m.
Blankets for Preemies, Fri, Mar 21, 11:00 a.m. - 3:00 p.m.
Beginning Machine Quilting, Dana Lahargoue, Thu, Apr 10 & Apr 17, 5:30 - 8:30 p.m., $40, supply list. In the first session, you'll learn machine set up and basic shapes and backgrounds and will have lots of time in class to practice. In the second session, you'll take your new skills and put them to work on a continuous line design which you can use as a small wall hanging or pillow. This class is the perfect opportunity to learn from a wonderful instructor. Dana is an award winning machine quilter with many years of machine quilting and teaching experience. Imperial Blooms-2014 (Sue Spargo), Judy Cummings, 2nd Tues -OR- 2nd Sat of the month, 1:30-4:30 p.m., starting in April, $15/class. (You must pay in advance for the first four classes, a total of $60.) This quilt features nine blocks of beautiful embellished layered flowers of wool and other fabrics. Judy will teach new stitches and embellishment techniques each month. 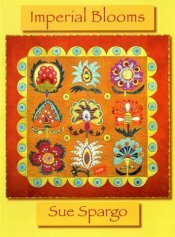 Beginning Needle-turn Applique, Judy Cummings, 1st Tues of the month, 9:00 a.m. - noon, starting in April, $15/class, supply list. (You must pay in advance for the first four classes, a total of $60.) 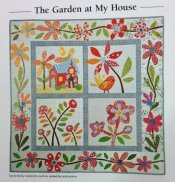 Learn to needle-turn applique and make this charming wall hanging, The Garden at My House, from The Best-Ever Applique Sampler by Becky Goldsmith and Linda Jenkins. Judy will teach you curves, points, circles, and more. Another fun handwork class! 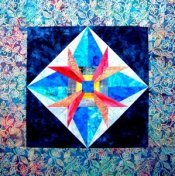 Foundation Paper Piecing, Dana Lahargoue, Thu, Apr 24 & May 8, 5:30 - 8:30 p.m., $40, supply list. Come and learn this traditional quilting technique that produces perfect blocks, even with small pieces! The class project will be "Rays of Hope" by Carol Doak, which can be made into a pillow or wall hanging. Thu, Apr 10 & Apr 17, 5:30 - 8:30 p.m.
Beginning Crazy Quilting, Toni Jordan, Sun - Apr 27, 11:00 a.m. - 3:00 p.m.; May 4, 11:00 a.m. -1:00 p.m.; Jun 8, 11:00 a.m. - 1:00 p.m., $60, supply list. In the first session you’ll construct a 14” block using a wide variety of fabrics; cottons, silks, tapestries, velvets, linens… In the second session you will start the embellishments. You will learn a variety of embroidery stitches using different threads and techniques. In the third session, you will learn more embroidery stitches and embellishment techniques using buttons, laces, jewelry and other “finds”.